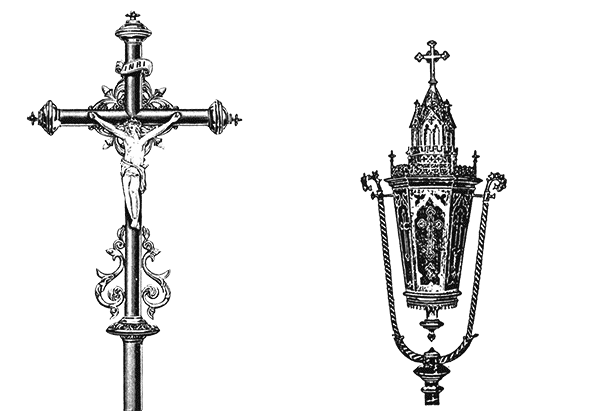 Before your next procession begins, have a look here. 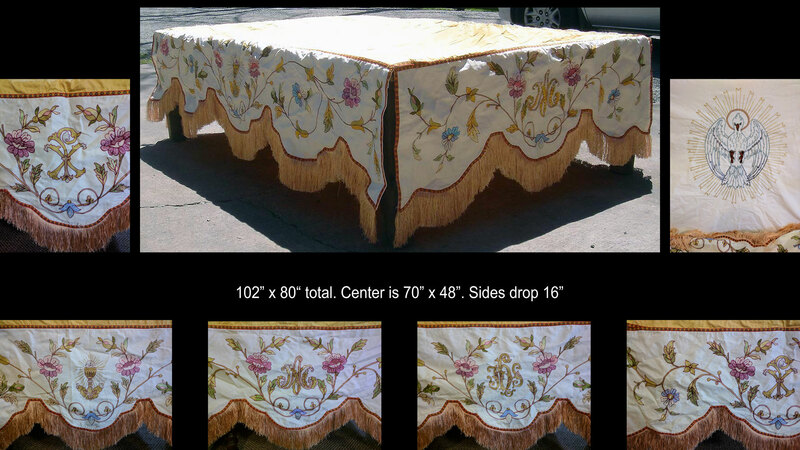 We also have some gorgeous canopies. 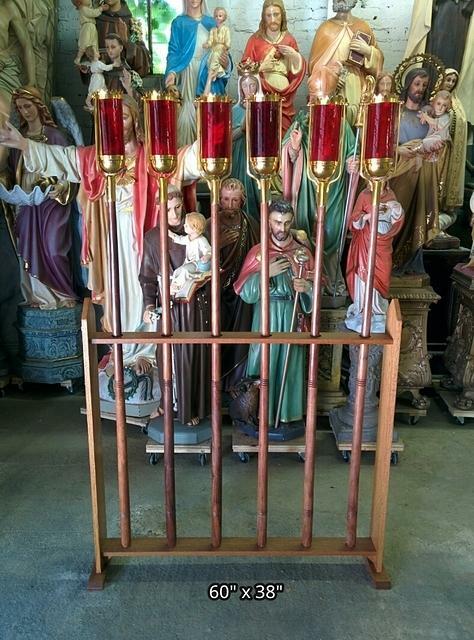 + Images in this gallery show few of the processional crosses and candles we have for sale. 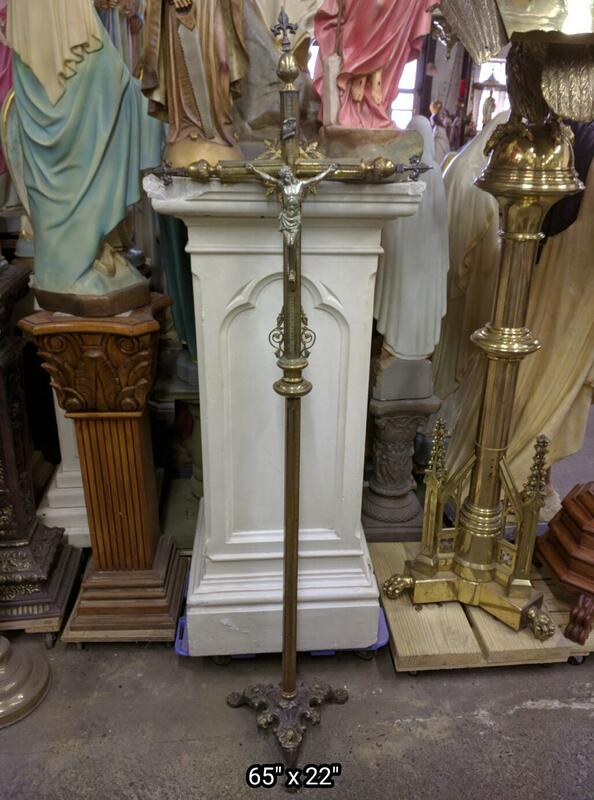 + We buy used processional crosses and candles and entire church contents confidentially. 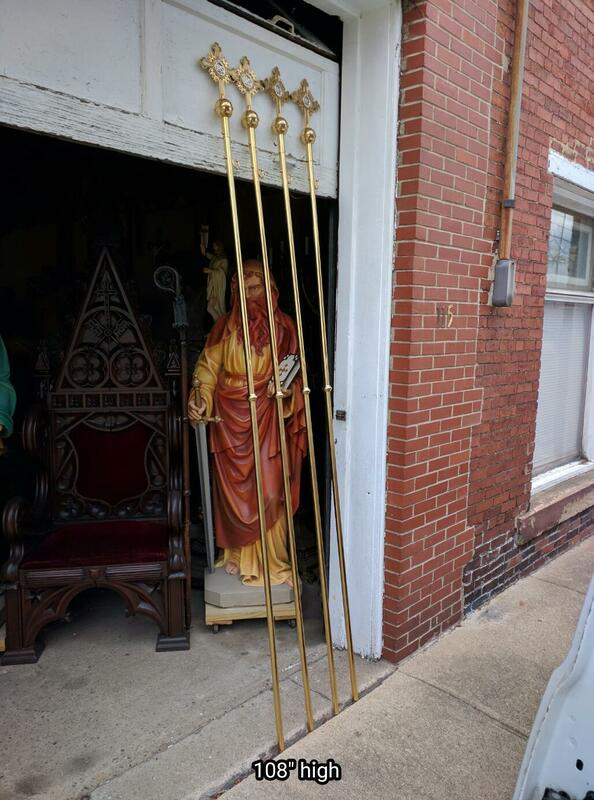 + Current inventory includes a restored set of 6 processional torches / candles, a gold plated processional crucifix, antique processional crosses and more.